Marjolein (Enkhuizen, Netherlands) on 21 March 2019 in Animal & Insect and Portfolio. 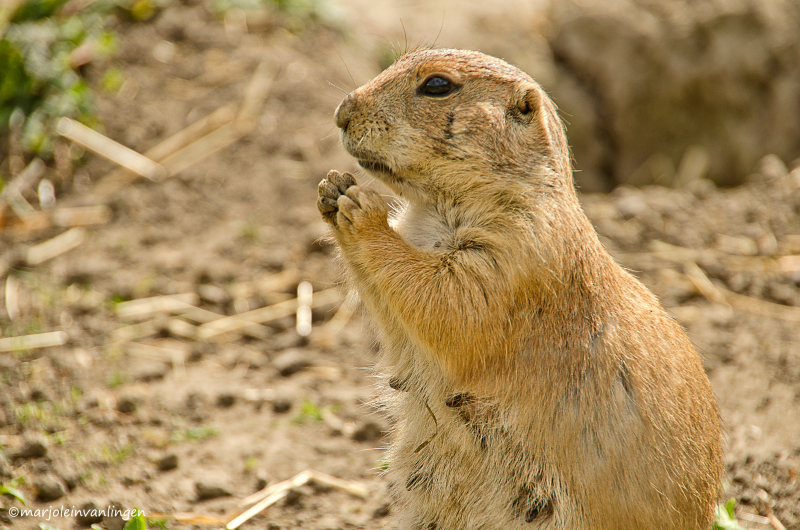 Prairie dogs are social animals, which live together in one area in several family groups: a so-called prairie dog village. These villages are underground, with each family having its own entrance with several rooms. Volgens mij is hij aan het bidden. Een hele mooie en vertederende foto. Begging for food, or watching out for intruders? Oh how adorable this close up is!